Venture investors are pulling back, as funding in the sector dipped slightly in the second quarter. 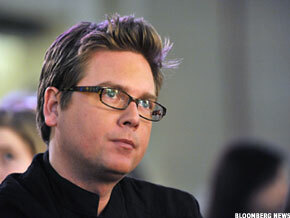 Biz Stone (pictured) and Twitter, though, haven't had many problems. NEW YORK ( TheStreet) -- Although marquee private tech firms like Twitter and Airbnb continue to rake in massive funding rounds, venture firms have started to scale back on their investments in tech, citing economic uncertainty, difficulty raising funds and concerns about a bubble. These fears caused a slight dip in venture funding for the second quarter, as investors plunked down $8 billion in 776 deals for U.S.-based companies, a 5% drop in investment and 2% decline in deals from the same period last year, according to a recent report from Dow Jones VentureSource. Twitter co-founder Biz Stone helped lead the company to a reported $7 billion valuation. Worries about the macroeconomic environment are a key reason for caution among venture investors, said Dr. Mark Cannice, a professor at the University of San Francisco. His Silicon Valley Venture Capitalist Confidence Index found that confidence among West Coast investors fell significantly in the past three months. The debt ceiling crisis doesn't help either, which could create an environment that is unfriendly to the venture industry. "Some corporations may start to husband their cash more closely because of concerns about the financial markets, which could limit the number of acquisitions they make and reduce exit opportunities for VC-backed companies," said Cannice. A challenging fund-raising environment for VC firms may also be to blame for a dip in investments, said Barry Kramer, a partner with Fenwick & West, who represents tech start-ups. The number of funds that received investments from institutional investors fell 23% in the past quarter according to the National Venture Capital Association, meaning it's becoming increasingly difficult for venture firms to find the capital to back start-ups. Venture capital funds depend on institutional investors such as pension funds and endowments to raise capital, which they then invest in start-ups. And when there's economic uncertainty, institutional investors may be less willing to put their money into a high-risk investment. "If your firm isn't at the top 20% of the industry, the prospect of raising a new fund is very dire and bleak right now," said Michael Greeley, a general partner at Flybridge Capital Partners. The second quarter may also signal a cooling off from venture firms that have been investing capital at a record pace. "VCs only have so much bandwidth they can deploy," said Max Chee, a principal with Millennium Venture Partners. "They've already put a lot of money out there and may want to spend more time on their boards, which could eat into the time they have to look for new deals." Investors are also wary due to skyrocketing valuations and an environment that some say has allowed any entrepreneur with a laptop and an idea to score funding. "VCs are going at a slower pace because of a view the market got too hot and that people were just throwing money at ideas," said Jon Soberg, senior vice president at Blumberg Capital. 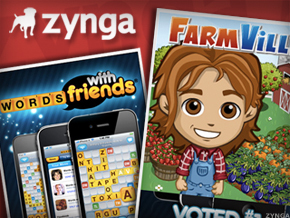 Adding to the heat and hype, of course, was the quarter's splashy rash of social media IPOs and S-1 filings, like the public debut of LinkedIn ( LNKD and Pandora ( P and filings of daily deals site Groupon and social gaming company Zynga. In fact, while the second quarter was the strongest three month period for IPOs since 2000 with 22 VC-backed companies launching offerings, investors are wondering if the current economic woes may prevent companies from pursuing IPOs. "We are still in the early stages of an upturn, but there will continue to be many downs as well as ups," said Bob Pavey, a partner with Morgenthaler Ventures. "And some of the downs will be painful." Another result of the down cycle is that some smaller tech firms are having a difficult time raising capital today. "There's a lot of competition for certain deals, but there are only so many opportunities to invest," said Maha Ibrahim, a general partner at Canaan Partners. "There's a dearth of investment with mid-stage companies that maybe haven't shown enough progress to warrant a huge round." Some tech watchers said they're surprised by a lack of confidence from the venture industry. "It now takes as long to drive through Palo Alto, Calif., than it did during the bubble," said Steve Blank, who teaches entrepreneurship at the University of California, Berkeley and Stanford University, referring to the Silicon Valley tech hub. "You can't even hire a competent engineer on the West Coast and in New York -- this isn't a downturn."